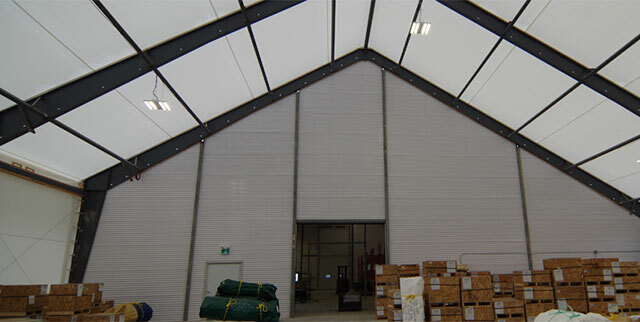 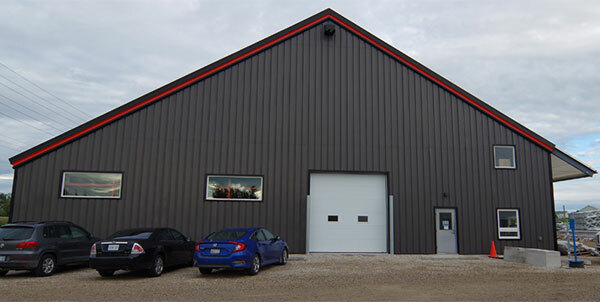 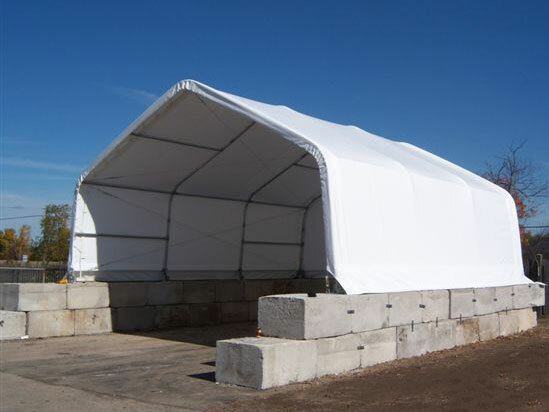 The Accent Fabric Building Series offers an economical structure with efficient use space and a wide range of applications. 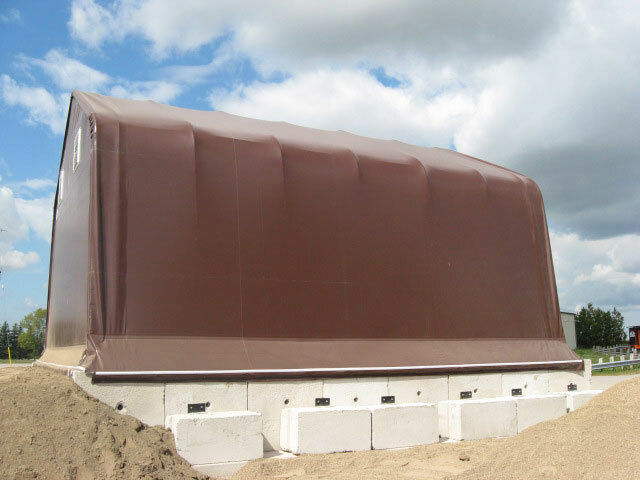 The single tube roof and wall support system easily anchors to the ground, foundation or walls. 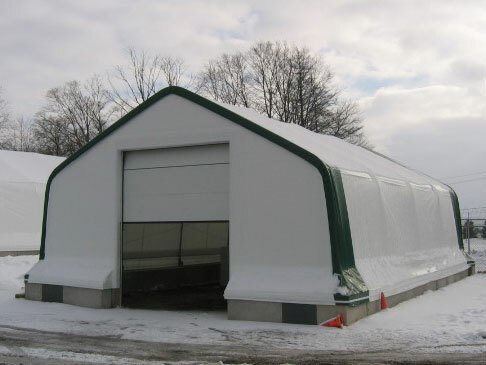 Ease of vehicle and equipment movement in and out of the building is ensured by the large door opening that is standard with the Accent series. 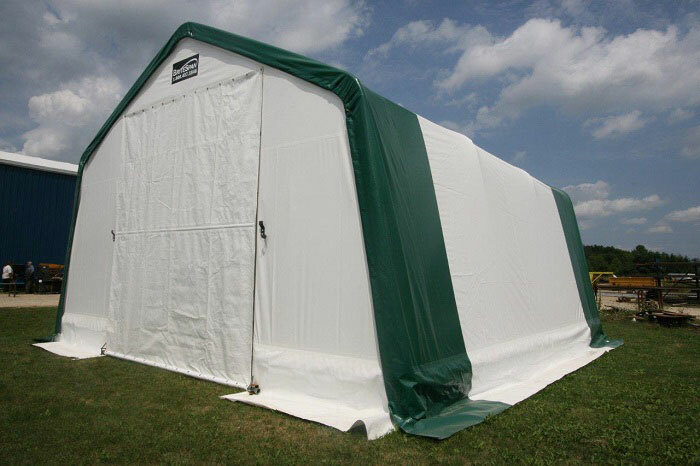 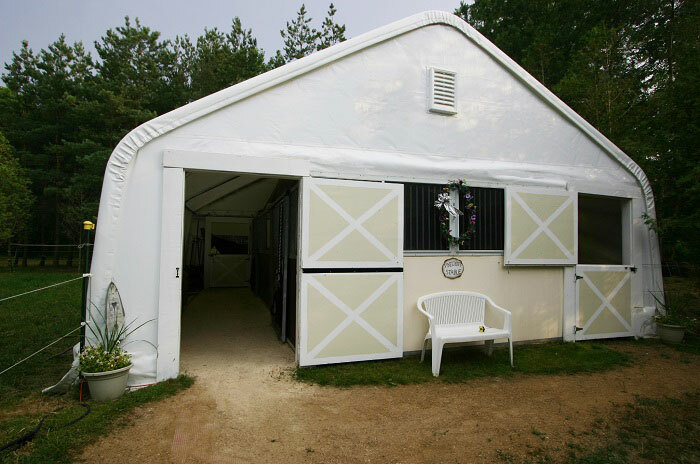 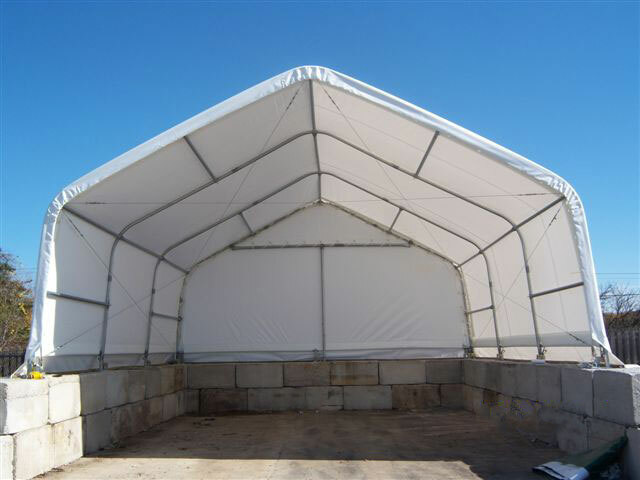 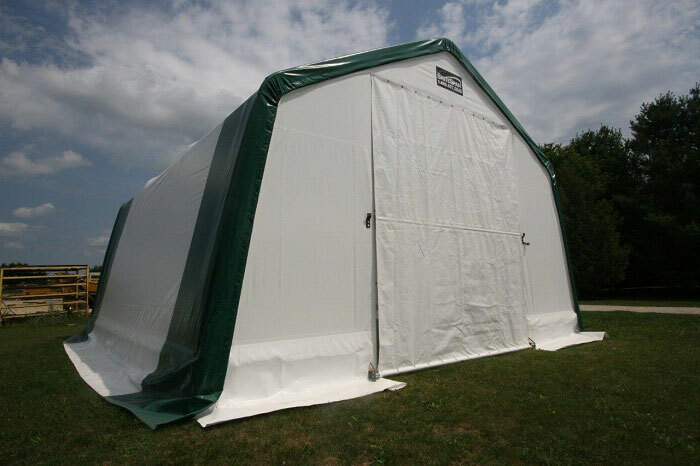 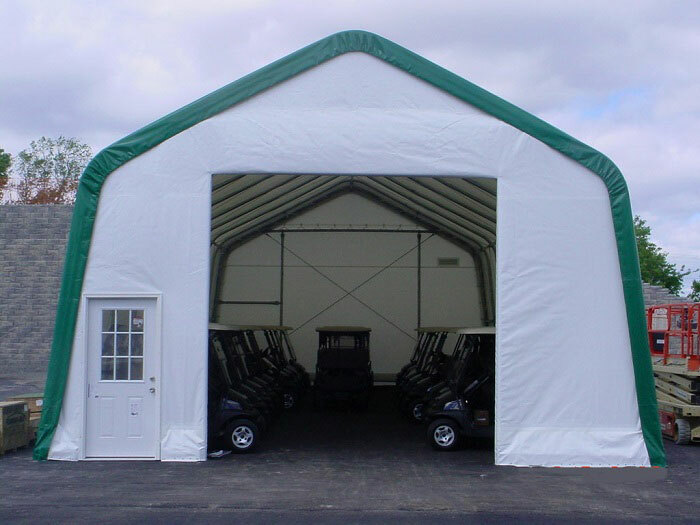 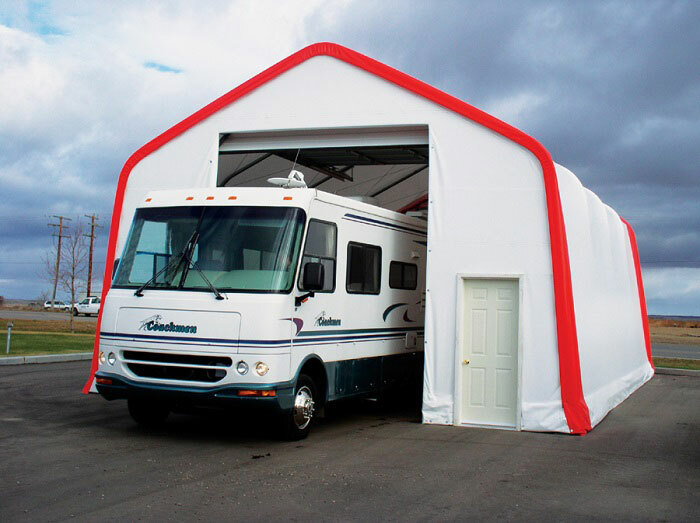 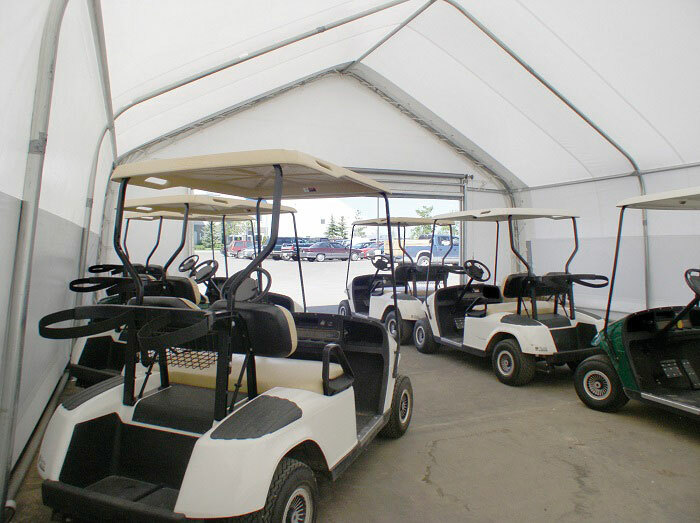 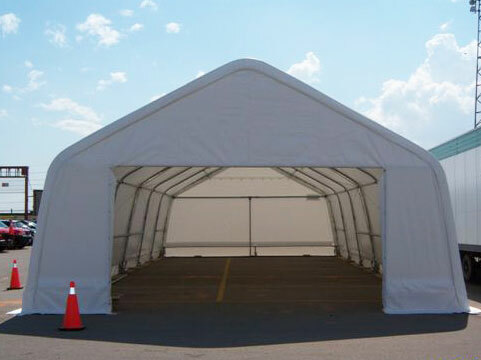 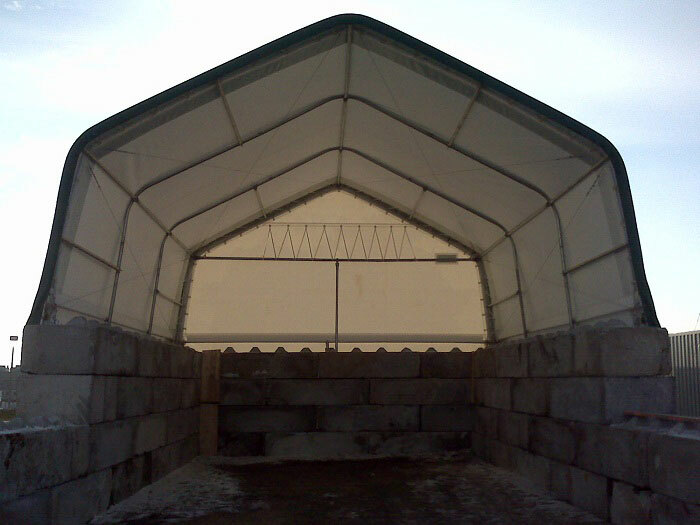 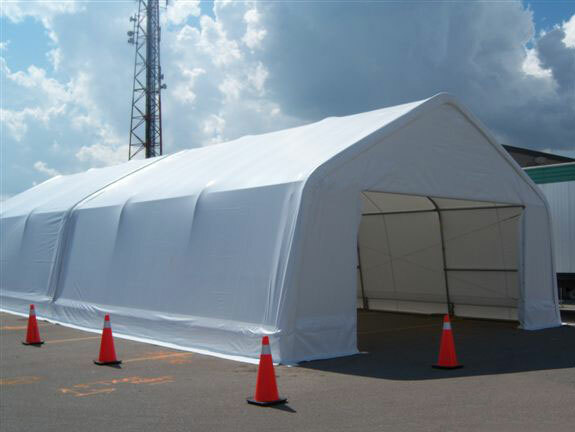 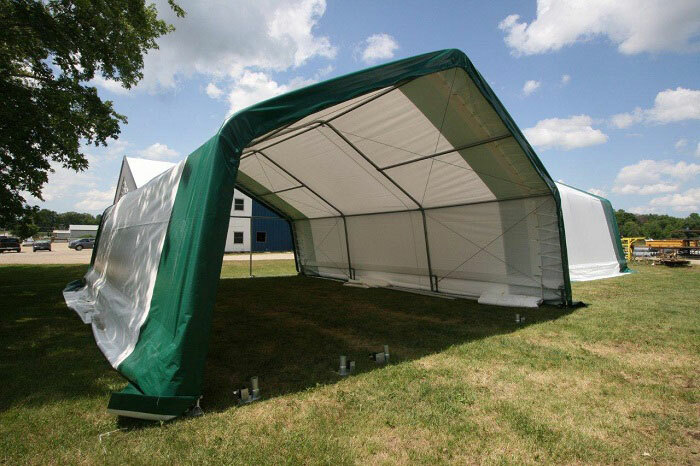 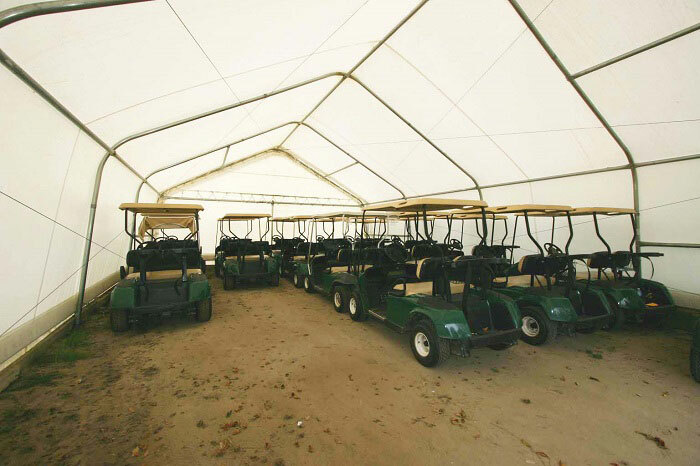 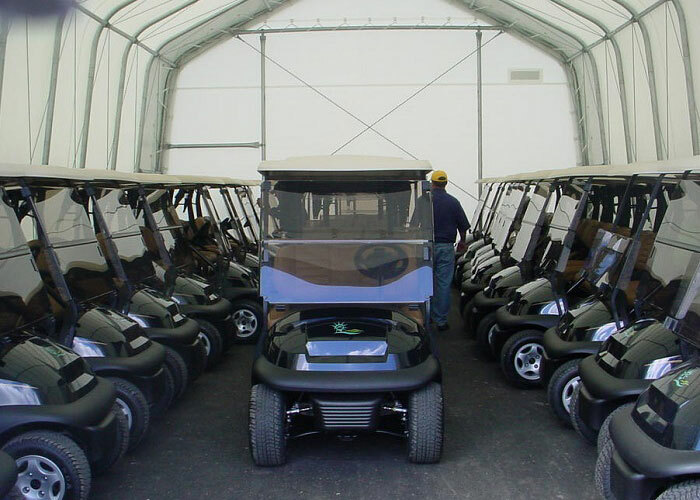 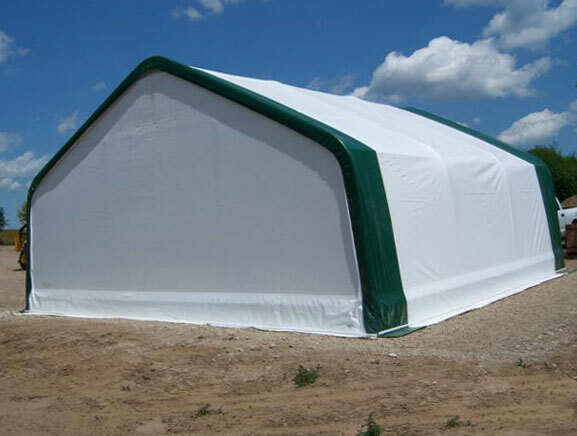 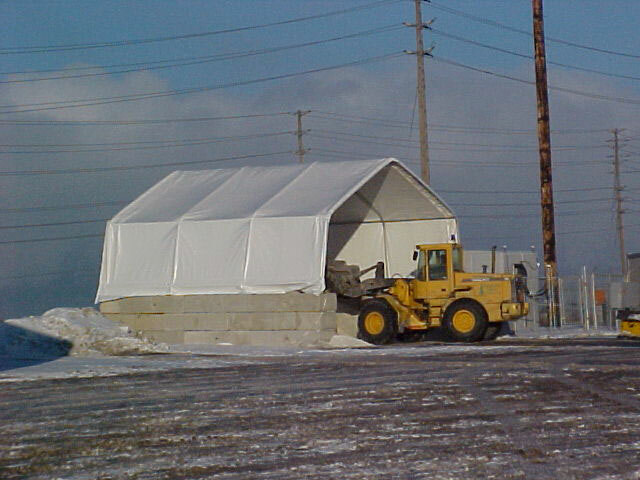 This affordable smaller version of our Fabric Structures is ideally suited for storage of various recreational and commercial equipment such as boats, ATV’s, landscape maintenance equipment, RV’s, Trucks and trailers. 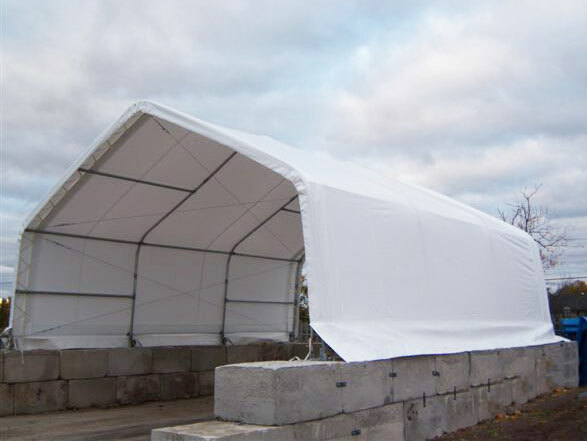 The premanufactured solid framework is ‘hot-dipped galvanized’ after all welding and fabrication which ensures a greatly extended service life of the structure. 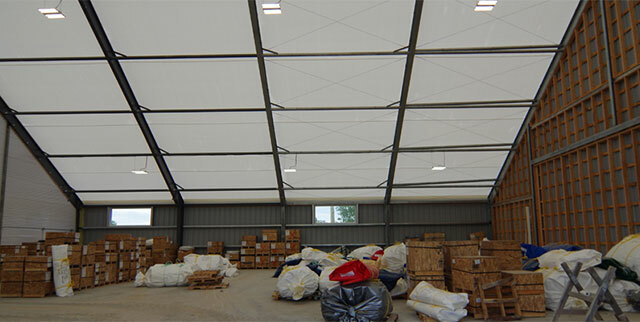 The fabric coverings are manufactured of Synergy Non Fire-Retardant or Fire-Retardant ‘Fabrene’ fabric. 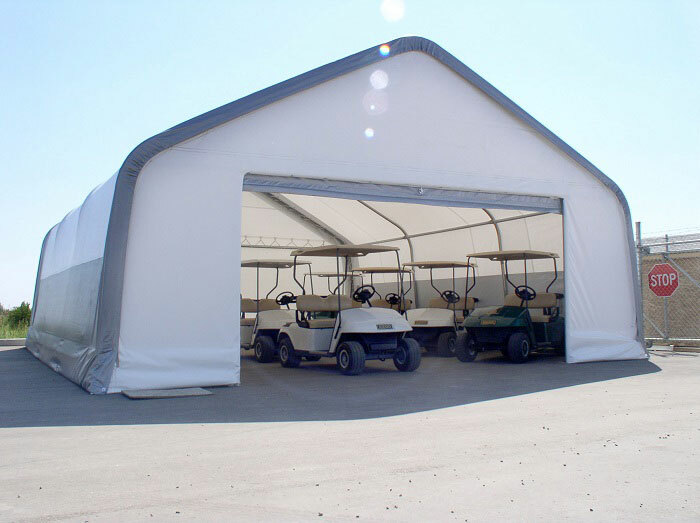 When installed and maintained properly, our fabric covers have lasted more than 20 yrs.